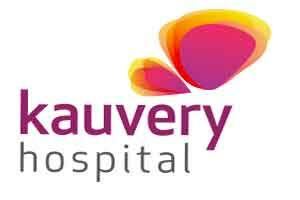 CHENNAI: Kauvery Hospital, one of Chennai’s leading hospitals, has bagged the 5S Platinum Award presented by ABK – AOTS DOSOKAI, Tamil Nadu centre. The award was given away at a one-day seminar on the Best 5S Practices conducted at the GRT Convention Centre in Chennai. 5S awards are given based on an organization’s level of compliance with all the guidelines laid out in the 5S system. Initially developed in Japan and adopted by manufacturing industries worldwide, the 5S system was later widely adopted by other industries including the service industry. The 5S system is a method of workplace organization that is built around a list of five Japanese words ‘seiri, seiton, seiso, seiketsu and shitsuke’. In English, these words translate into ‘sort out, set in order, shine, standardize and sustain,’ – hence the term 5S. This year, out of 50 companies from the manufacturing and service sector, Kauvery Hospital won the 5S Platinum Award in the healthcare segment. The core strengths of Kauvery Hospital that helped it win the award were a clean, safe and clutter-free environment, a process-driven approach to healthcare and the reduction of costs through reduction of wasteful expenses and processes. Organizations that conform to 5S standards are put through a series of stringent tests and audits to assess overall compliance with 5S standards and norms. These tests are wide ranging and aim to rate the organization’s proficiency in mastering the 5S system and bringing it to work across all levels of its day-to-day work. It also assesses employees’ understanding of the system and its implementation across all levels. This system works so well that a 5S certification is today widely accepted as definitive proof of an organization’s efficiency, the quality of their workplace and their performance in their field.